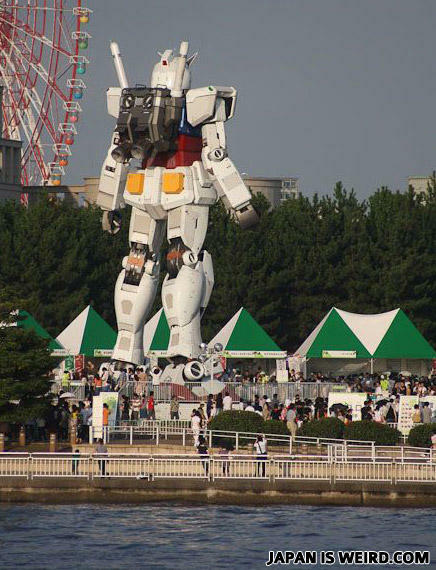 No, Gundam. You're too big for that ride. LOOK OUT HE'S GONNA PEE!!!!!!! I lost my robot... did you see it? So, I told this other mech pilot I was gonna fix his bike, and this seems to be the only wheel big enough......i'm just gonna....borrow this....thanks! i bet it has a small d*ck too, ZING! "why didn't we think of that" because your not in japan, japan always has the best ideas, so whenever you get a good idea, know that a japanese kid has thought of it 3 months before you. I'll show you Burning Man ! How is a hamster like a cigarette?